By Fiona Coxe·	 11/16/2011, 1:59 p.m.
At 3 Little Figs, a recently opened bakery on Highland Avenue in Somerville, the focus is on all things Greek; the menu features delicacies such as sweet baklava, savory spinach pie and locally sourced Greek yogurt served with a variety of toppings. The cheerful cafe was buzzing on a recent Saturday morning when I stopped in, and waiting in line gave me plenty of time to make up my mind. Katie Rooney, the bakery’s owner and self-proclaimed “Big Fig,” got her start selling her carefully handmade goods at area farmers markets and independent grocers. 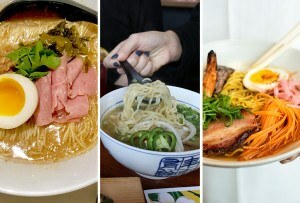 Rooney’s use of local ingredients and produce won her a large fan base that’s followed her to her brick-and-mortar locale. Though I was tempted by the chocolate ginger cookies and the baked sugar donuts, I settled on a thick slice of spinach pie. 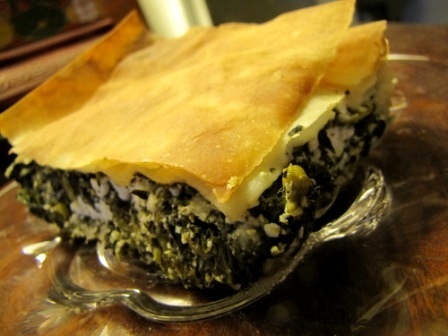 The spinach pie, traditional by sight, contained a generous serving of spinach and artichokes that were mixed with sheep’s milk cheese and layered between crisp sheets of phyllo pastry. The result was a clean tasting pie, with a slight tang from the cheese and a burst of freshness from a dose of lemon. It was dense and filling, yet still felt light thanks to the acid and flaky pastry.